Today we’re going to be discussing some of the most common problems experienced by computer users. We’re going to cover areas that include both hardware and also software problems. And we’re going to start off with some of the most common problems that users may experience. And then move on to some of the less common problems you may experience as well. This information has been brought to you by Smith Technical Resources, LLC. Which is a Nashville, Tennessee based Computer Repair and Network Support Services company. And if you have problems performing any of the troubleshooting steps that we’ve listed below, we suggest that you give them a call at 877-270-0001. They’re an absolutely great company to work with. So, let’s go ahead and get started. One of one of the most common computer problems that technical support receives calls on involves computers that simply won’t power up. Your desktop or laptop computer will not turn on, or abruptly turns off while you’re working on it. Start with the easy things first. Check and make sure that the power cable is plugged into a working outlet or power strip. Next, if your system is connected to a power strip, make sure that the power strip has not tripped. If it is plugged into and an uninterruptible power supply, make sure that the breaker is not tripped on that as well. Next, If available try plugging in another power cable into your computer to see if that works. Next check and make sure that the power button is not stuck or loose. Because we come across that issue quite often on desktop computers. And that’s because the buttons are either hot glued or they’re snapped into place. And the clips break off after a lot of use. Next, If it’s a laptop that you’re having a problem getting to turn on, disconnect the power adapter from the laptop. And remove the battery from the laptop. Next, press and hold the power button on the laptop for 60 seconds. And then afterwards, release the power button, reinstall the battery in the laptop, and then reconnect the power adapter as well. And then afterwards try to turn on the laptop. If your computer is a laptop, it may possibly be over heating. And once it reaches a certain temperature, for a certain amount of time, it simply shuts down from a critical error caused by the over heating. Or it simply shuts down as a fail-safe. The first approach in attempting to resolve this issue would be to try cleaning out the cpu fan and heat-sink with a can of moisture free compressed air. And you can access the fan and heat-sink from either the bottom or the side of the laptop. The area to be cleaned will most likely be covered by a screen or vent cover of some sort. If it’s a desktop computer on the other hand, you’ll need to remove either the side or top cover of the cpu case to access the cpu cooling fan and heat-sink. And while you have the case open, make sure to clean any other case ventilation fans as well, as a precaution. Your computer monitor will not turn on. Troubleshooting for this issue is a lot like it would be for a regular computer as well. First check and make sure that the monitor has power. By checking the power strip or power outlet it’s connected to. And also make sure that the power strip doesn’t have a circuit breaker that has tripped. Also, if it’s connected to an uninterruptible power supply, make sure that it hasn’t tripped a breaker, that it is turned on, and also that the ups isn’t completely malfunctioning and requires replacement. You also try another power cable if available just as you would with a computer. Next, make sure that the power button is working on the monitor. Next, connect another monitor to the system. And if that monitor works, the original monitor may need to be replaced. If your computer is a laptop, check the laptop where the adapter plugs into it. And hold and then move the adapter around with your fingers right at the plug. If you notice your laptop’s power light on, or even flickering, then you may have a short in your laptop’s power adapter connection. Or the adapter has a short in the tip where it plugs into your laptop. In this case you’ll need to either replace your power adapter. Or have a professional repair your laptop’s power jack by either re-soldering the currently installed jack. Or replace the entire power jack with a new one. 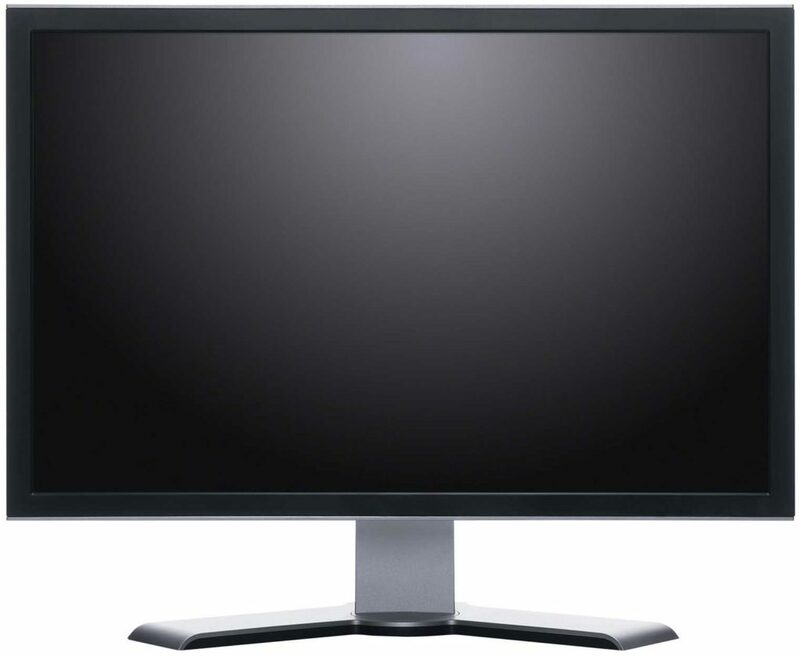 Your monitor turns on and displays a picture while your system is booting up. But once you log into your account, the picture disappears. And the monitor goes into power saving mode. This problem is most likely caused by a resolution that is not supported by the monitor itself. The refresh rate is most likely too high for the monitor to display. You’re probably going to have to start your system into safe mode if at all possible. Lower the resolution to the monitor first. And if that doesn’t resolve the issue you’ll also need to lower the refresh rate as well. And then afterwards try to start the system back up normally and see if the problem has been resolved. Your keyboard or Mouse quit working. Depending on how your keyboard or mouse connects to your system try disconnecting it from your first. Then wait about 10 seconds and then try plugging it back in. If your keyboard or mouse continue to malfunction, try plugging the USB cable for the device into another available USB port if available. If after trying multiple ports on the rear of the system fails, try connecting the mouse or keyboard to the front of the system. 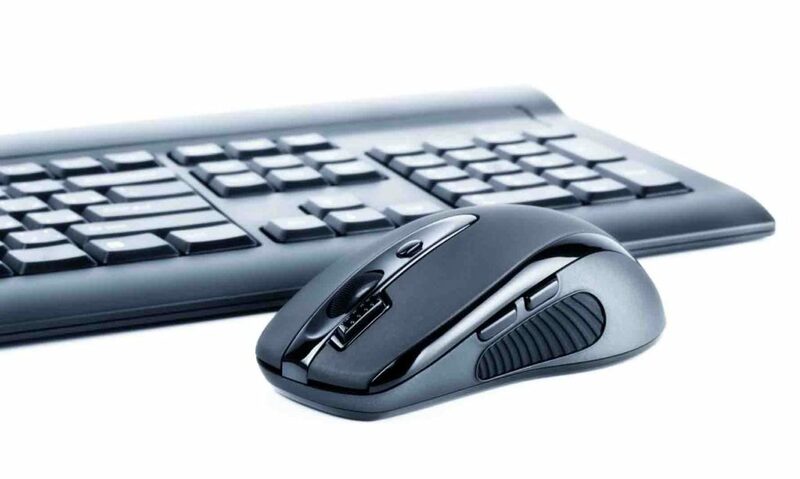 Or, if the mouse or keyboard were originally connected to the front of the system, try connecting it to the back of the system. Now if your mouse and keyboard runs off of batteries. Check and make sure that the batteries are good and replace them if necessary. Next, if the device still fails, try resetting the mouse or keyboard with your system. And then as a last resort, try an alternate device if you have one of available. The sound doesn’t work on your computer. For this again we go with the easy approaches first. First check and make sure that your speakers are turned on. Or that your headset is plug-in properly. Next, make sure that your speakers have power. Next, make sure the speakers or headphones are plugged into the correct audio jack on your computer. The Jacks and the end of the plug should be color coded most likely. And they will most likely be colored lime green. For the audio out and also the tip of the speaker connection as well. Next, Make sure that you do not have the audio volume muted on your computer by going to the lower right and clicking on the little speaker icon. And make sure that the mute box is not checked. And also make sure that you have the volume is turned up on your sound as well. Next, go to the Device Manager and check for any yellow or red mark under the audio device section. If you see such indications, try to re-enable the device. Or attempt upgrading the device’s drivers. And if both of those approaches fail, and the device still has either red or yellow mark over the audio device, flat out remove it and then restart the computer. Afterwards, you may need to reinstall the device drivers. And those drivers can be acquired from the manufacturers website. 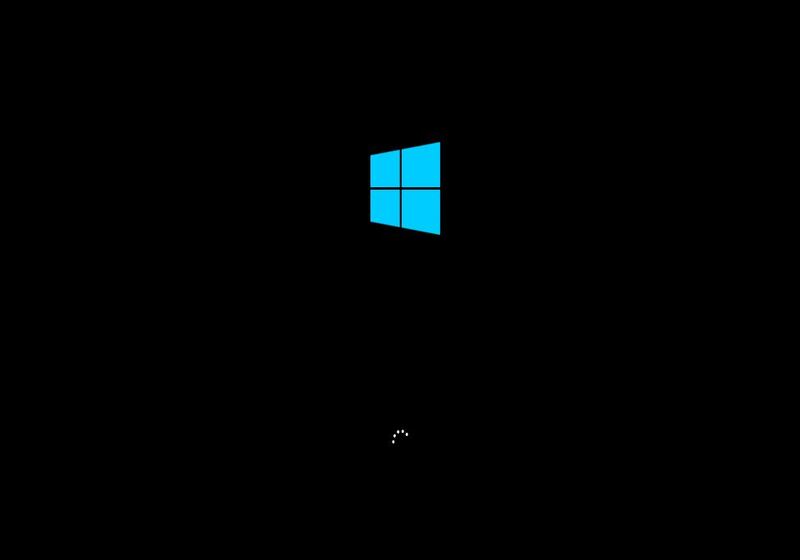 Your computer shuts down abruptly at random times while you’re working on it. This could be caused by any number of issues, but the first issue to focus on is to make sure the system is not overheating. So, if it’s a laptop you need to take some compressed air and blow it out. Now the compressed air must be moisture free. Otherwise you may spray some water in your system, which would cause a serious problem most likely. But if it’s a desktop computer system you should blow out the power supply in the rear of the cpu. And if you feel comfortable, remove the side cover and blow out the inside of the computer as well. Focusing especially on the CPU and the cooling fan attached to the top of it. Now if your system still shuts down abruptly after blowing it out, make sure that the system has adequate and stable electricity. Make sure that you don’t have any heaters or appliances on the same circuit that pull a heavy load on that particular circuit. And an uninterruptible power supply would work well for protecting your computer from such power fluctuations. Next if it’s a laptop computer, make sure that it has adequate power and that the adapter does not have a short. The reason why we suggest this is if the laptop has a bad battery, and even if it has a good battery and the adapter has a short in it, the battery might not be charged properly. And if it losing power from the adapter, it may shut down because of a lack of power. There may also be a short in the laptop’s power jack. And that will need to be resolved if that’s the case. Next, check the system for malicious software utilizing a utility such as Malwarebytes. Next, check in the control panel under “Programs and Features” to make sure that you don’t have any conflicting software. An example would be if you had two antivirus utilities installed. Or two firewall packages as well. Your computer runs slow sometime, or all of the time. Make sure that you have an adequate amount of free hard drive space by checking in the “File Explorer”. And if you’re running low either delete any unnecessary files. Or simply move what you want to keep onto an external hard drive or flash drive. Check your system for viruses utility either your preinstalled antivirus utility, or download and perform a full system scan with Norton Power Eraser. And if any malicious software is found, remove it and then restart the computer. Next, if the system continues to run slow perform an check disk on your primary hard drive partition. And that can be done through the “File Explorer”, then right clicking on the primary partition which will most likely be drive “C”. Selecting “Properties” and then “Tools”. And then afterwards click on “Error Checking” and make sure that the auto fix option is selected. Next, click on “Start”, and then restart the system if it prompts you to schedule the disk check. Next, check and make sure that you system has enough ram to handle the applications that you’re running together. And to do this simply press the “Control”, “Alt” and “Delete” at the same time once. And then select the “Task Manager” at the bottom of the list that is displayed. Under the performance tab the system should be utilizing under 75% of the physical memory. If it is not, you may need to close some memory intensive applications, remove applications that automatically run in the background, or just flat out install additional ram in your computer. Your Computer Is Making Strange Noises. Resolving the issue depends on the type of noise the computer is making. If it sounds like a high pitched whirring sound from inside the computer cpu or laptop, it may be an issue with the power supply cooling fan. Or it may be an issue with the cpu cooling fan. 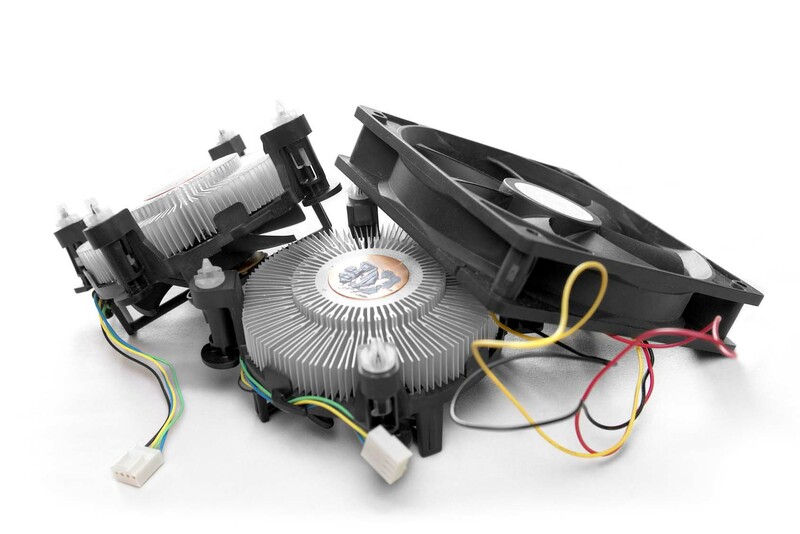 Unfortunately, if it’s an issue with the power supply cooling fan, and since the power supply isn’t easy to disassemble safely, issues with it’s cooling fan can only be resolved by replacing it completely. But on the other hand, if it’s an issue with the cpu cooling fan or a cpu case ventilation fan in a desktop or laptop, you may be able to simply clean it with a can of moisture free compressed air. Or possibly lubricate it with a few small applications of WD-40 after you remove the side or top cover of the desktop. It will take a little more work to reach the fan in a laptop though, if you need to access it from within the case. We suggest that if it’s a laptop cooling fan, first try cleaning the fan with the compressed air from either the bottom or side of the laptop, from outside of the case. And if that fails, the laptop will need to be at least partially disassembled to fully reach the cpu cooling fan. And keep in mind, to take it easy with the compressed air and/or WD-40. Because it shouldn’t take much of either of them to resolve the strange sounds coming from the cooling fan. Now, if what you hear from your computer sounds more like something clicking, may be an issue with your computer’s hard drive. If that is the case, the first thing you need to do is to backup everything up on your computer that is important to you. Next, have a professional computer technician check your system out. If the drive is the problem, and your computer is worth it, have them go ahead and replace the defective hard drive. A loss can be caused by several issues. And the techniques utilized to resolve the situation depends on how you connect to the Internet, via wireless or a wired connection. We’re going to start off by focusing on wireless connections, because a great deal of you access the internet that way. If you’re having problems with your internet access connection dropping, and you’re connecting over Wireless, double check and make sure you have a decent signal from your access point. 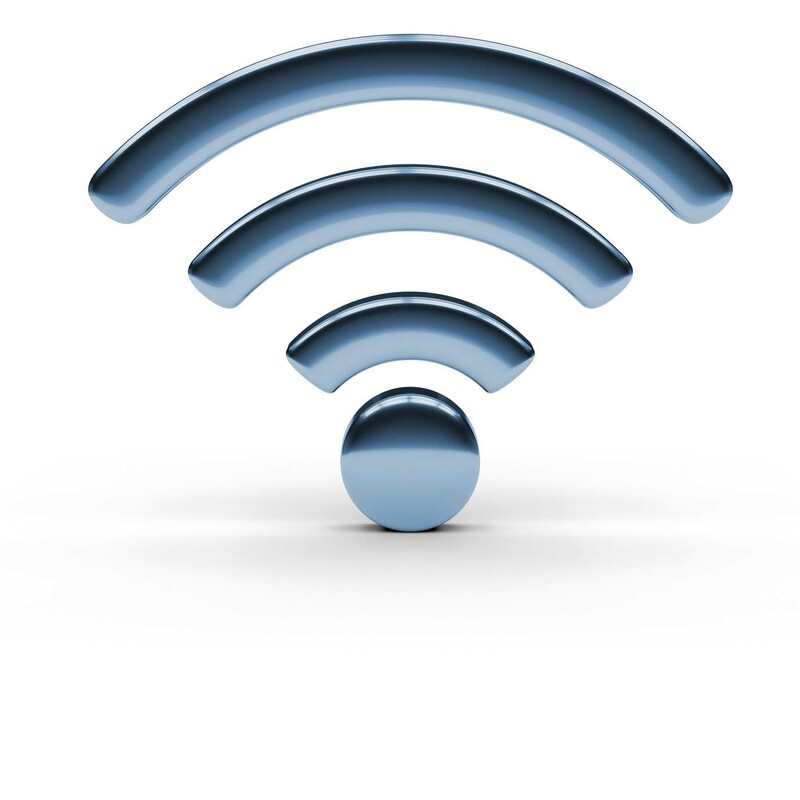 If your signal is weak, either re position your laptop or tablet, or re position your access point if at all possible. Elevating either device either will be your best bet for improving your signal the quickest. And your wireless signal indicator should be at least halfway the majority of the time. And if it’s below that, you may continue to have intermittent internet access problems. Next, if you have a strong signal, but your internet connection still keeps dropping, try restarting your wireless access point. And the easiest way to do so is to simply unplug the power to it, and then plug it right back in. That point it may take your device a minute or two to complete its power-on self-test, and to become operational once again. Next, your issue may be caused by malicious software, is a virus. To resolve that, perform a full system scan with a reputable anti-virus utility such as Symantec Endpoint Protection, Bitdefender, Kaspersky, or some other well-known brand of anti-virus. And then afterwards, remove any malicious software that it locates. Then next, reboot your computer. Next, if you continue to have intermittent internet access problem, you may have a problem with your device’s wireless network interface adapter. And if that is the case, try uninstalling the device from the Windows device manager. Then afterwards, reinstall the software for that device. And then next try reconnecting to your wireless access point with the required credentials. If that fails, you may need to replace your laptop or desktop wireless network adapter. The best way to do that, would be to simply purchase a wireless USB adapter. Install it, and then re-attach to your network utilizing the appropriate credentials. If you connect to the internet over a wired Ethernet connection, first double-check to make sure that you have a good Ethernet cable connected to your router, access point or network switch. Next, if the first approach failed to resolve the issue, restart your router or access point by simply unplugging the power to it for 10 seconds, and then plugging it right back in. 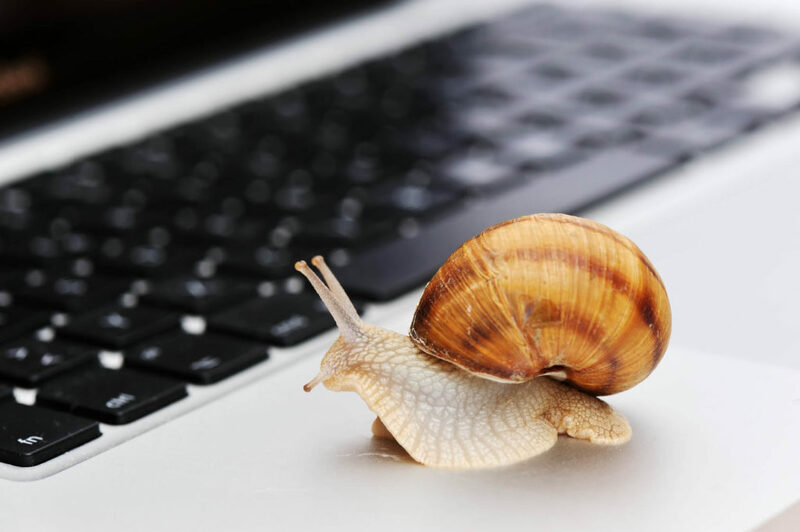 Your Internet access has suddenly become slow. First, check your Internet speed by going to “Speedtest.net”. And based on the results, compare the data with the Internet access subscription plan that you’ve subscribed to. If the test results match what you’re paying for, you may need to contact your Internet access provider and get your access plan upgraded. But you also may need to have your provider check your circuit for errors. And if no errors are detected, they may be able to give you a hint of what device is hogging up all of your bandwidth at your home or business. And what websites that specific device may be accessing. 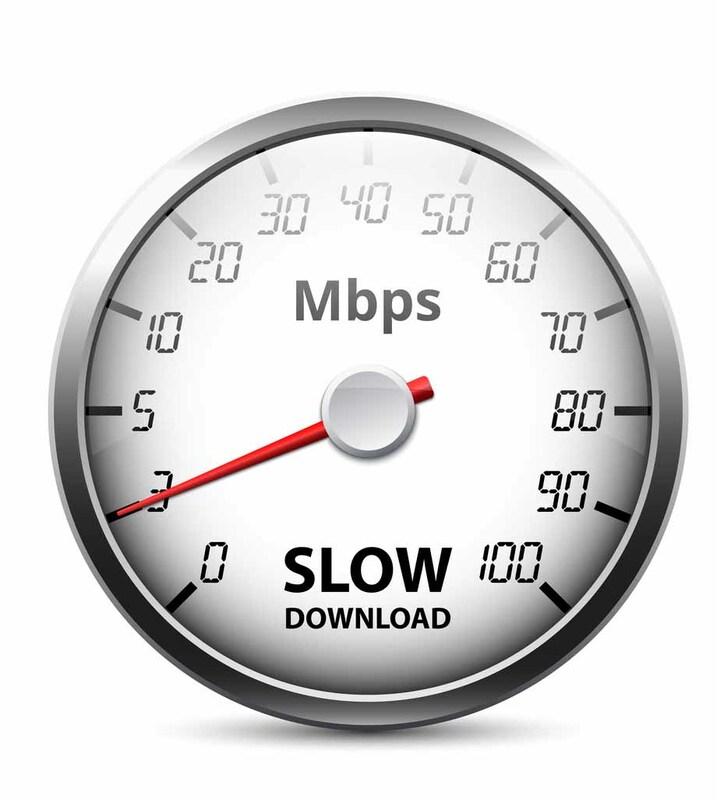 To start, if your Internet has become slow all of the sudden, start off by disconnecting the power to your cable or dsl modem and/or router for 60 seconds. And then afterwards, reconnect the power to it. At that point it may take a few minutes before your device(s) complete their power on self tests, and then re-sync with your provider’s network. Your Internet access should return shortly after that. Next, if your Internet is still slow after the device restart, if you’re utilizing a wireless connection, either move your laptop or tablet closer to your access point. Or if at all possible elevate your access point as much as possible because your device may have an issue with a low wireless internet access signal. And if your Internet speed improves substantially after moving your device, you may either have to elevate your access point permanently, install a stronger access point, install a wireless extender or install a high gain usb wireless network interface adapter in your laptop. Next, if you’re connected to a wired connection, check your Ethernet cable for any pinched or damaged spots. And if any are present, replace the cable with a new one. Also make sure that your cable is plugged in properly and that it doesn’t have a bad Rj45 connector or two with broken clips. And it does have bad connectors, replace them as needed . And last, make sure that your laptop’s Ethernet adapter port isn’t damaged. It could possibly have some bent pins. And if so, you may be able to gently bend them back into position. Next, check your computer for any programs that may be utilizing your Internet connection to upload of download files such as, Windows Updates, application updates, online backup services, file downloads especially ftp and torrent file downloads, antivirus updates, etc. And if such programs are found, either close them or completely remove them as a last resort, unless they are malicious. Next, perform a full scan of your computer with a reputable antivirus such as “Symantec Endpoint Protection“. And remove any malicious files or configuration settings that it locates. Afterwards, reboot your computer. Next, perform a scan of your system with “Malwarebytes Adwcleaner“. And then depending on if it locates anything malicious on your system, it may reboot your system as well.